Among all of Brooklyn, N.Y.'s trendy neighborhoods, Williamsburg is probably the one most associated with hipsters—who are typically music snobs. But surprisingly, it turns out ol' Billyburg is chock-full of Beliebers. 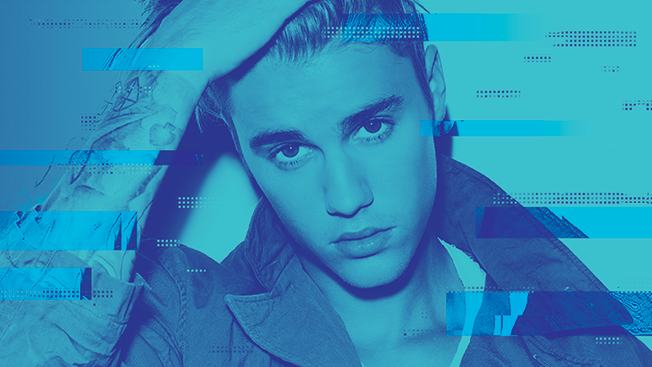 According to Spotify, Justin Bieber's single "Sorry" was the most popular song in Williamsburg's ZIP code this year. And the music-streaming brand is running a mural-style ad on the corner of Kent and Metropolitan avenues in the hip 'hood that says, "Sorry, Not Sorry Williamsburg. Bieber's hit trended highest in this zip code." It's part of Spotify's Year in Music campaign, which was created by agency Stinkdigital and turns 2015's most popular tunes into pieces of out-of-home advertising targeted at specific neighborhoods in New York and Los Angeles. Sleep-themed playlists were most popular in Brooklyn's Gowanus neighborhood, so an out-of-home ad encourages people to "Sleep tight." 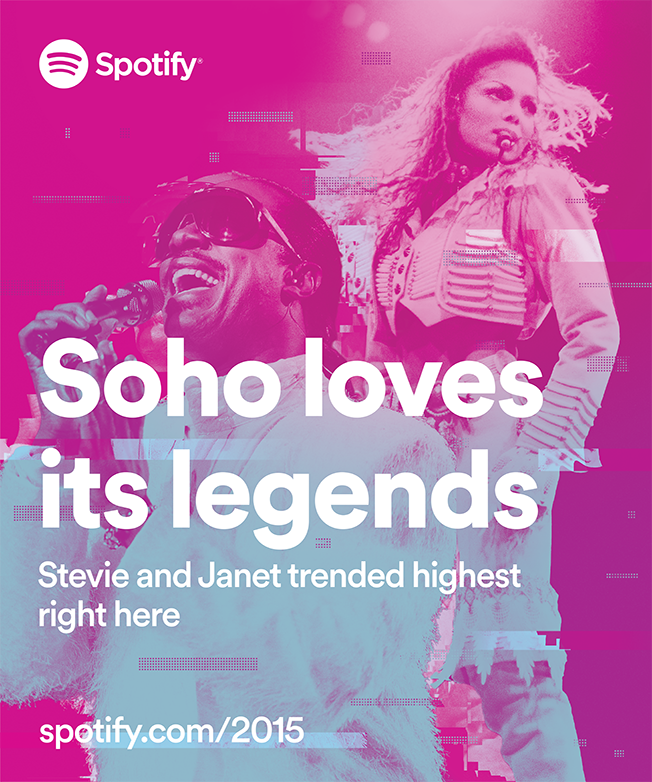 And another piece of creative in Manhattan's SoHo district features Stevie Wonder and Janet Jackson because they were the most listened-to artists in that neighborhood. This is the fifth year of Spotify's Year in Music campaign, but it's the first time the effort has been supported by out-of-home ads. Among other listening trends, Drake was the No. 1 streamed artist this year, and Rihanna was the top female singer. The Weeknd's "Beauty Behind the Madness" was the most streamed album of the year.